2. At first the upper iron does not meet the lower iron, after 30~45 seconds, press down the upper iron so that it meets the lower iron. It's crispy on the outside and chewy on the inside. 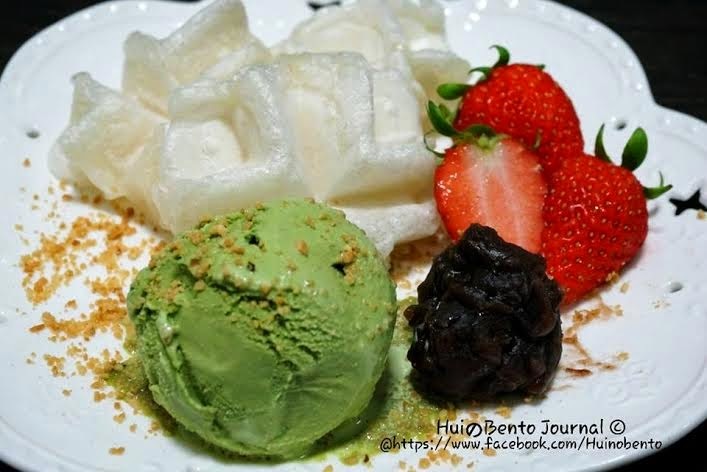 Serve it with green tea ice-cream, red bean paste, strawberries and peanut topping really make this dessert taste delicious.